Alicante is a tourist destination of the first order and has everything that any kind of traveler could need in their vacations. 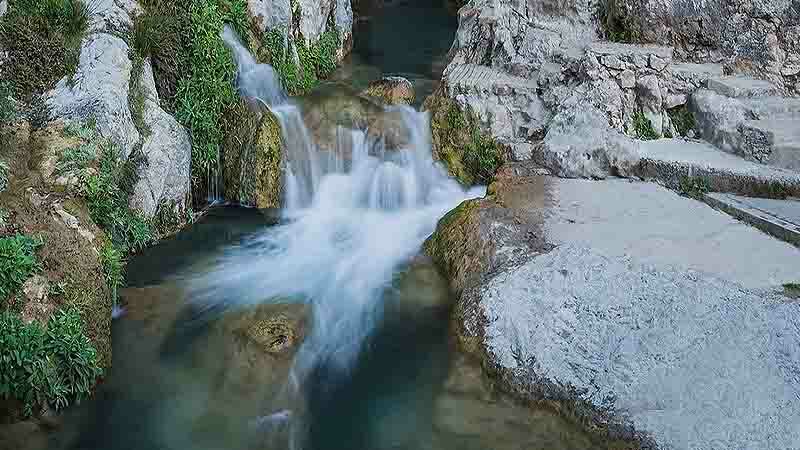 The Algar waterfalls are one of the great attractions of the Alicante town of Callosa d'En Sarriá, an exceptional place to visit, especially during the summer season. It is a place surrounded by nature on all sides, nestled in a protected area of the Marina Baja, with very beautiful river cascades. The name of these sources was given by the Arabs, who occupied this area during the Middle Ages and were surprised by the great beauty of this enclave. The area where they are located is very popular with tourists and ade parking spaces have been made available in nearby areas so that everyone has the opportunity to enjoy this essential environment in any visit to Alicante. The whole area is completely signposted and adapted, so that everyone has the opportunity to know the route that the Algar River makes as well as its channel and all the contours that surround it. The visit becomes indispensable to do a great activity, taking between 2 and 3 hours. In addition, during the summer season, anyone can take a dip in its waters and enjoy the environment, but always respecting the place, because it is a protected area. Now you know, if you want to discover an area of great beauty for your next summer getaway, in the town of Callosa d'En Sarria, you have a location suitable for the whole family, to spend a good afternoon surrounded by nature. Do not forget the camera, because this is one of those places that you will want to remember for a long time, although it is best to come back for another visit. Do you still do not know this destination?